Another nice day with outstanding propagation to Reunion Island. Our stransmittion was captured by FR5ZX in 474.20 KHz WSPR-2 mode. 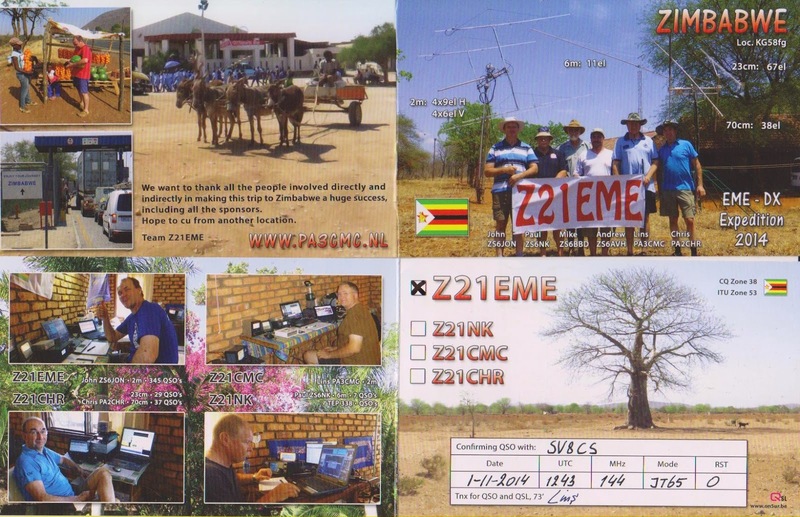 Z21EME 2m qsl CARD via EME. 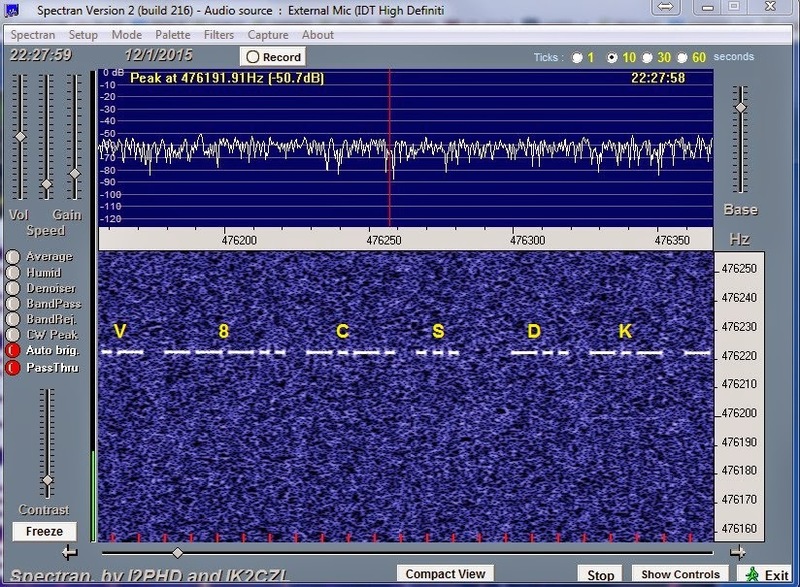 Thank you for the 2m NEW ONE via EME. 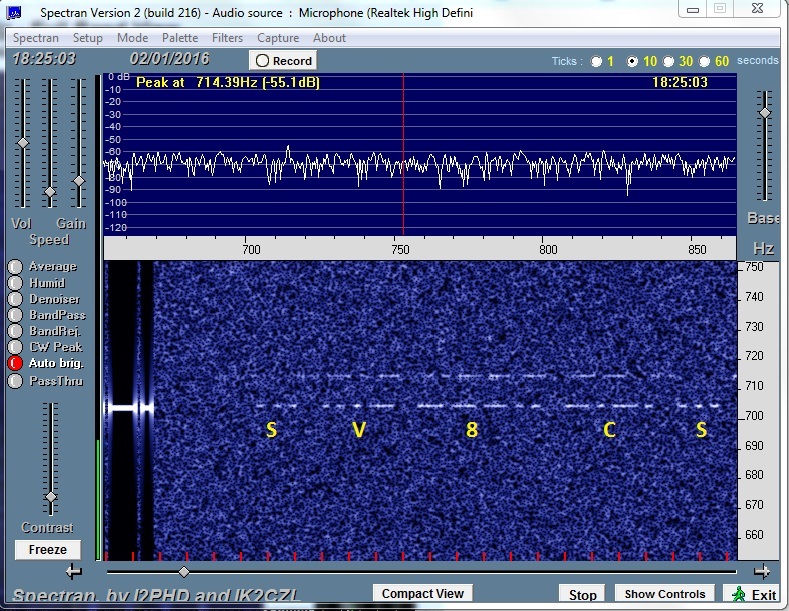 My signal in 477KHz captured by VK5ZUC. NEW RECORD. NEW record tonight (at 19:18z), in Medium Waves band at 477 KHz Opera 8 mode. 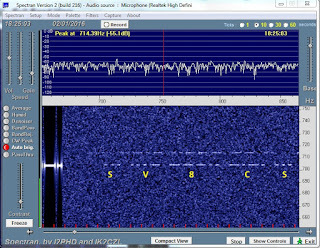 My signal captured by the Australian station VK5ZUC distance 14.545 Km !!!!!!!!!! Big distance 14545 Kilometers. This is my personal record in MF band. First QSO in 476.180 Hz with DK7FC. 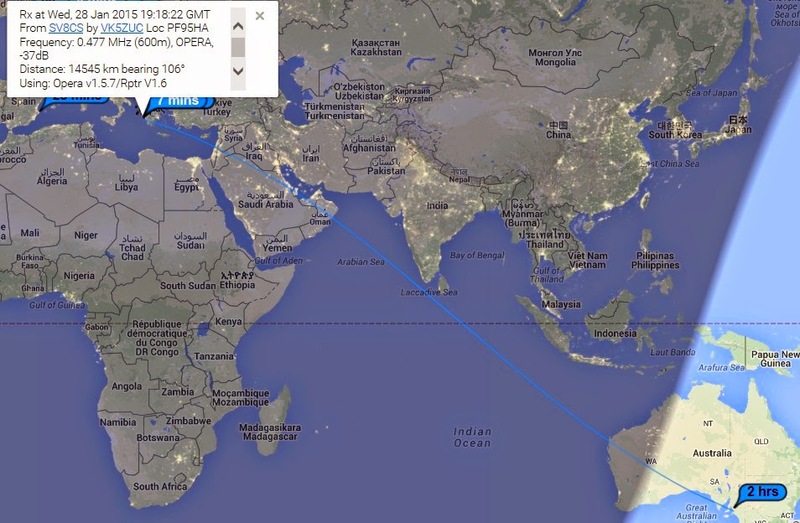 Last night made my First QSO in MF, with Germany, DK7FC Stefan, in QRSS-3 - QRG 476.180 Hz. The signal from Stefan was very strong during our QSO. 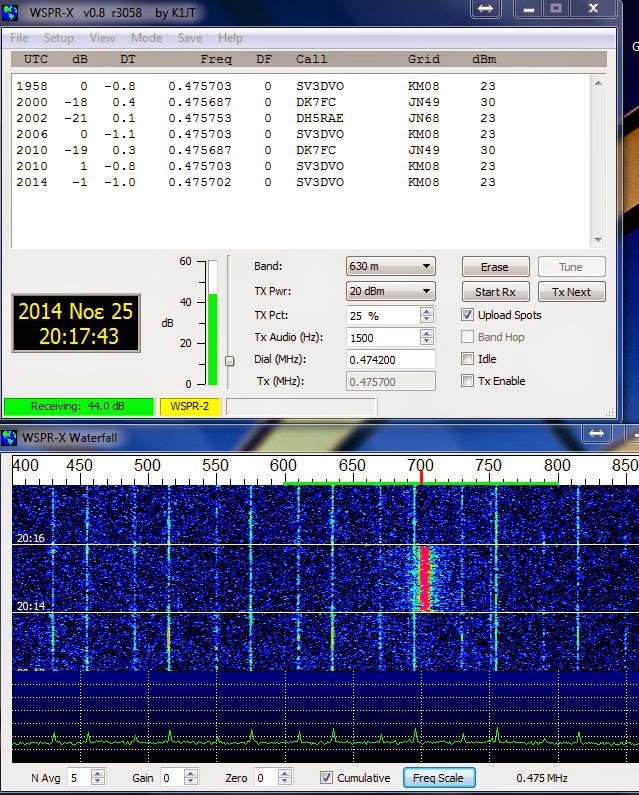 See the signal from Stefan, DK7FC in the waterfalls. 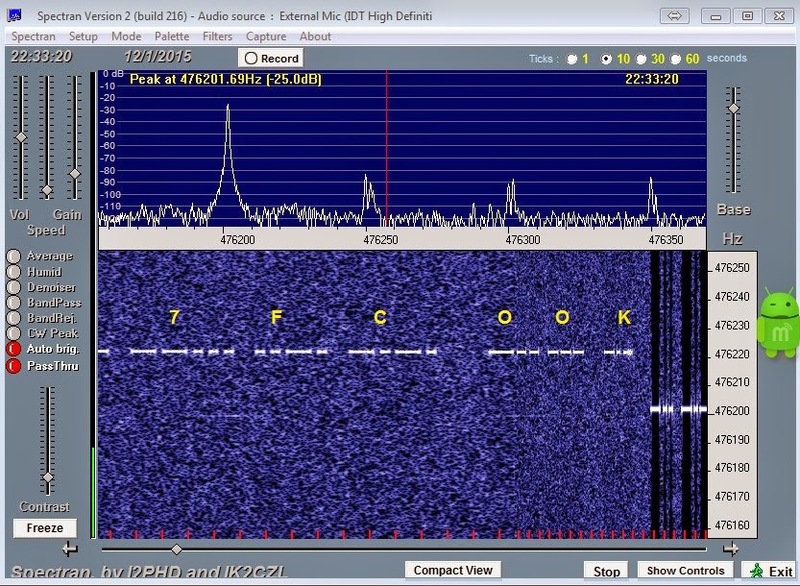 My signal at 476.180 Hz captured by DK7FC MF grabber in Germany - mode QRSS-30. Monday 12/01/2015 at 19.00z. 474 KHz 2 way CW QSO. 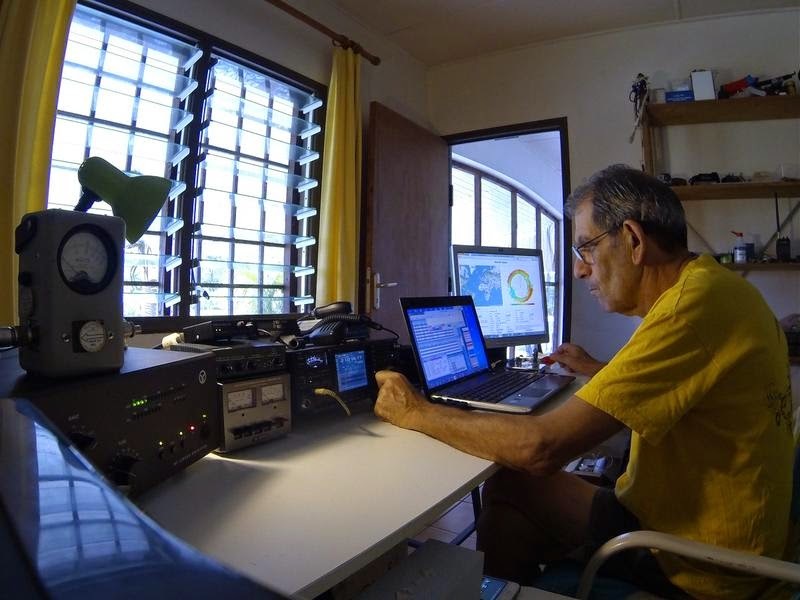 Today, (11/01/2015 at 19:35z), we made the first 2 WAY qso with Manolis SV3DVO in 474 KHz. QRB 95 KM. Signal both sites 599+5. 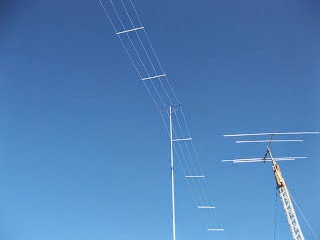 My antenna is a Marconi "T" type 40,00m vertical with 3 parallel wires 28,00m long each at 25,00m above ground as TOP Hat. Antenna coil at 130μΗ. TNX Manolis for this new one DXCC in MF band. Now TXing in Opera 8 at 477 dial SSB , (carrier 478.500). 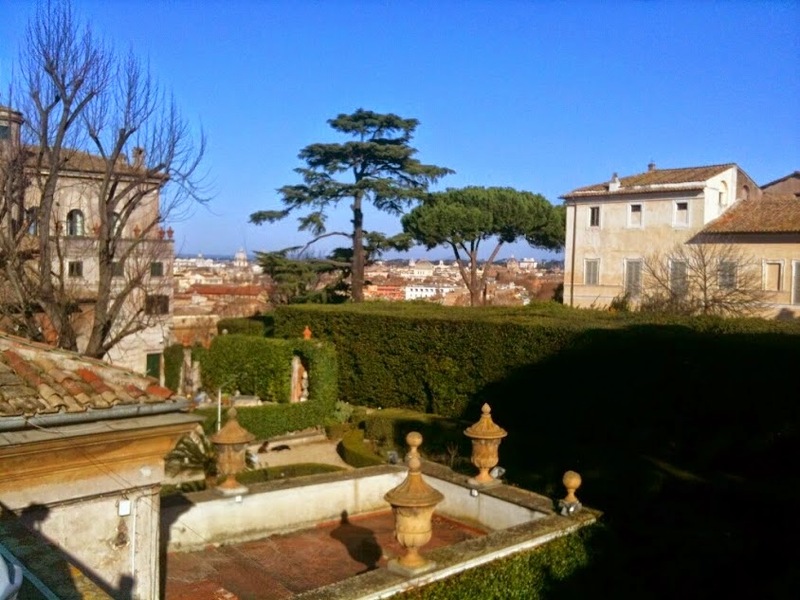 My signal is captured in England, Italy, Poland, Germany. 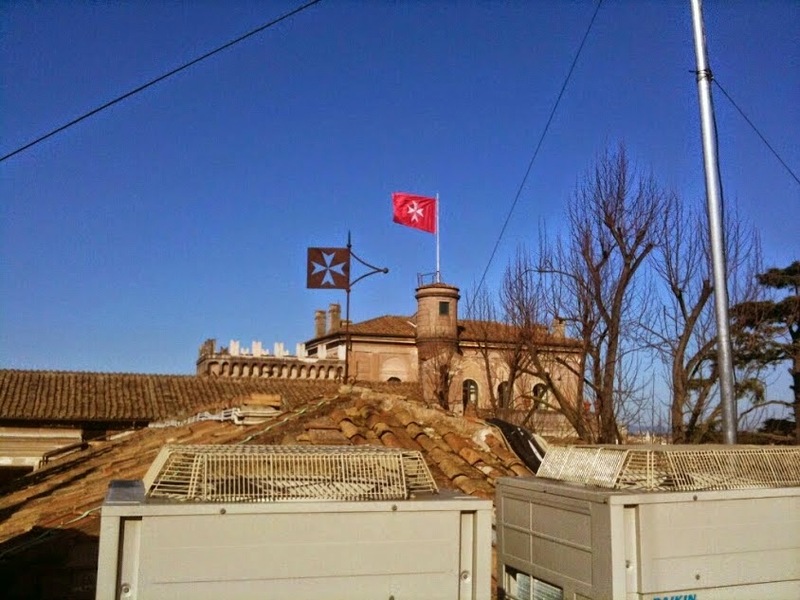 1A0C Sovereign Military Order of Malta. 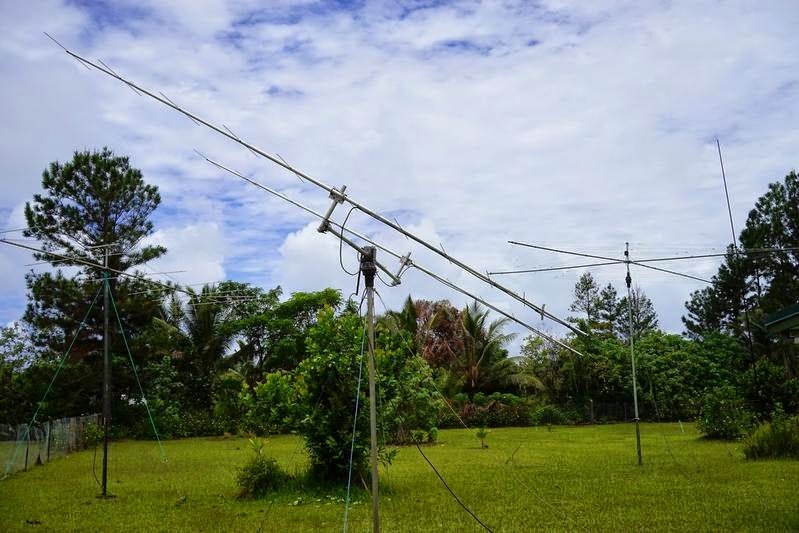 Nice 2m EME QSO with the station 1A0C operated by Frank DL8YHR. Το κτίριο των ιπποτών της Μάλτας που μετράει σαν ξεχωριστή ραδιοχώρα ευρίσκεται στην Ρώμη.Η επαφή έγινε με ανάκλαση στην επιφάνεια της σελήνης. Thank you Frank for this nice 2m EME qso. 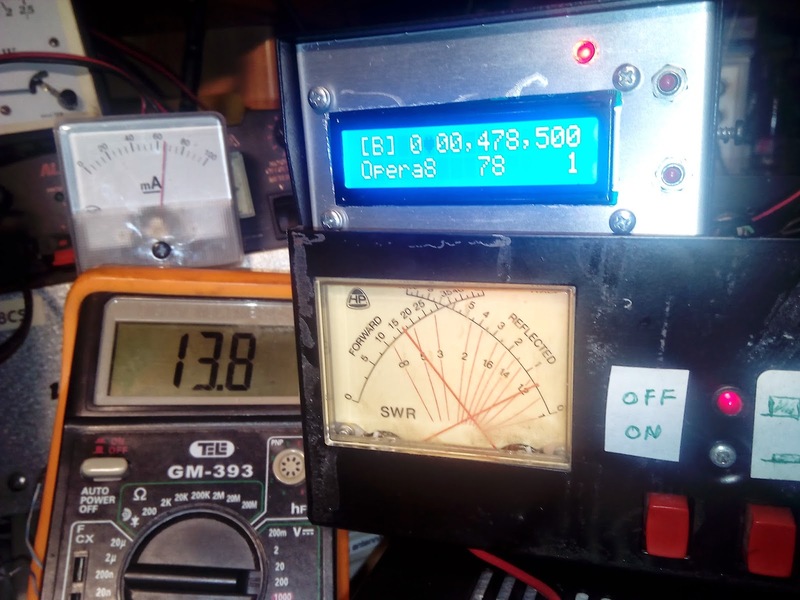 My friend Manolis, SV3DVO has tune today his Antenna from 136KHz to 474KHz and he made 1st transmittion in MF 474 Khz in OP-8 and WSPR-2. 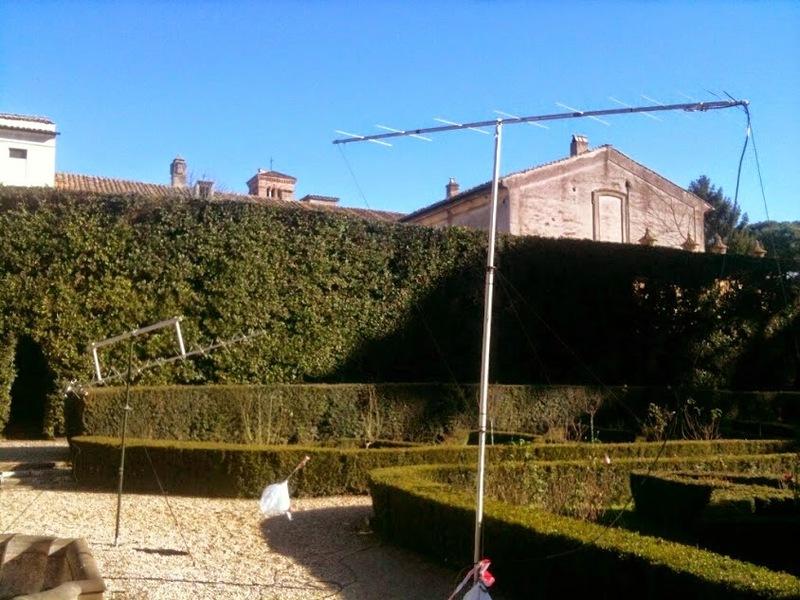 He is using the Marconi "T" type Antenna with 4 parallel wires 18,00m long and 10,00m vertical on the roof of his QTH. 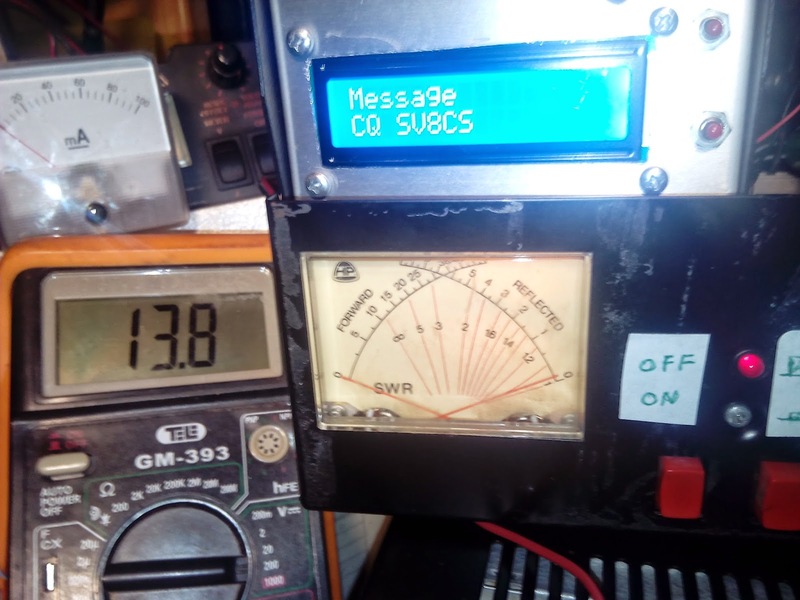 The transmitter power is 20w and his signal was captured in Italy, Germany and France just with the firsts transmittions. My congratulations Manolis for this nice job and many DX on MF. This evening 18/11/2014 at 20:42, I made my first transmittion in MF band, using WSPR-2 with Ultimate -3 transmitter (output 150 mW). 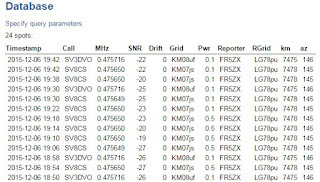 My signal was captured by SV8RV. 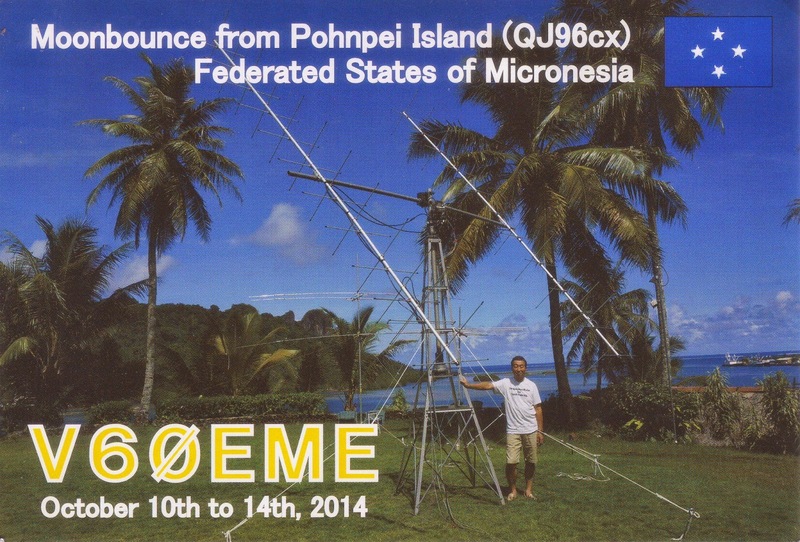 Many TNX to Kay for his nice activity in 2m via Moon (EME) from the Pohnpei island in Federated States of Micronesia. Kay has made many 2m contacts via EME. Thank you KAY for this qso and NEW ONE for me. 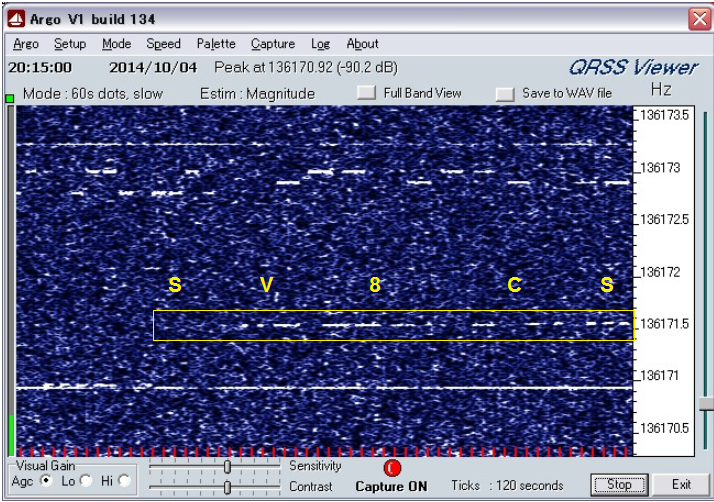 Last Sunday 09/11/2014, I had a very nice qso in 2m via Moon (EME) with the good friend Jean-Jack, FW5JJ. 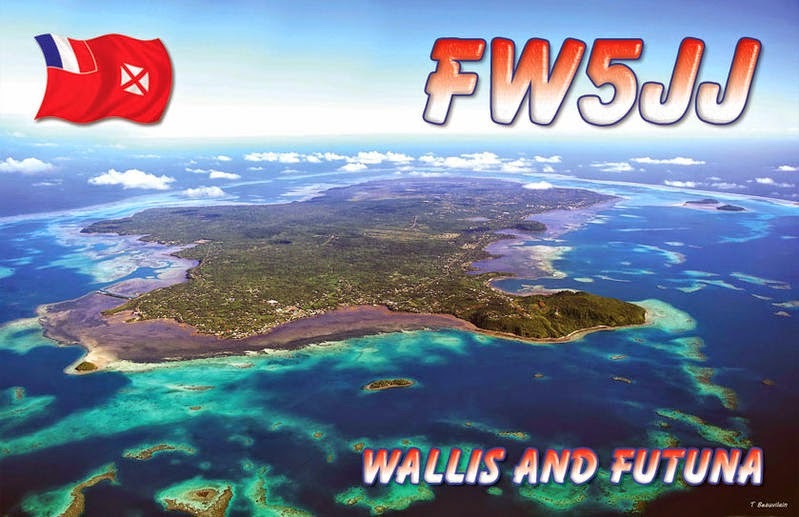 Wallis and Futuna is very hard for us, due to a very small common window. Two days latter my daughter Anna, SV8NAC completed also a qso with Jean- Jack. This the FW5JJ's shack on Wallis island. Merci dear JJ for nice qso and NEW one on 2m. SV8CS signal in Japan, JA7NI grabber in 136.171,50 KHz - QRSS90. 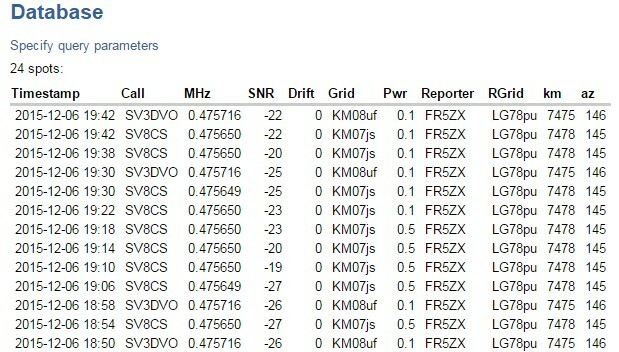 Last night I had a nice success on LF band. My signal received by JA7NI, Kuni's grabber in LF at 136.171,50 KHz. Thank you Kuni and Yas (JA8SCD) for the grabber link to JA7NI page. Mny TNX also to Stefan, DK7FC who has help me a lot in the past and to my friend Manolis, SV3DVO. Now I hope for a QSO with Kuni hi hi. 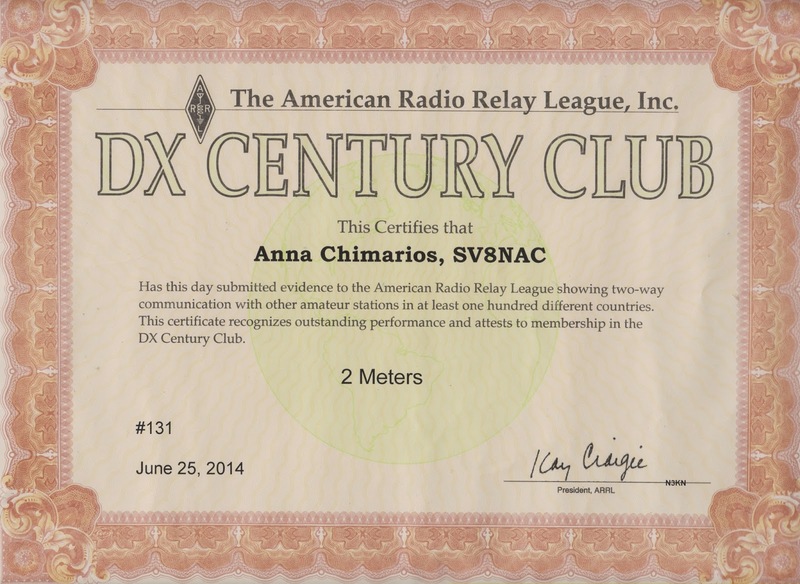 SV8NAC, Anna Chimarios is the first woman radioamateur in the world to have the dxcc award in 144MHz via EME mixed mode. Also she is the second radioamateur in Greece after SV8CS, Spiros. Anna started at the age of 13 years and now she is 17 years old. Congratulations Anna. 144 Mhz EME qso with 4K/UT6UA from Mountain Karabakh in Azerbaijan with Dmytro 4K/UT6UA. 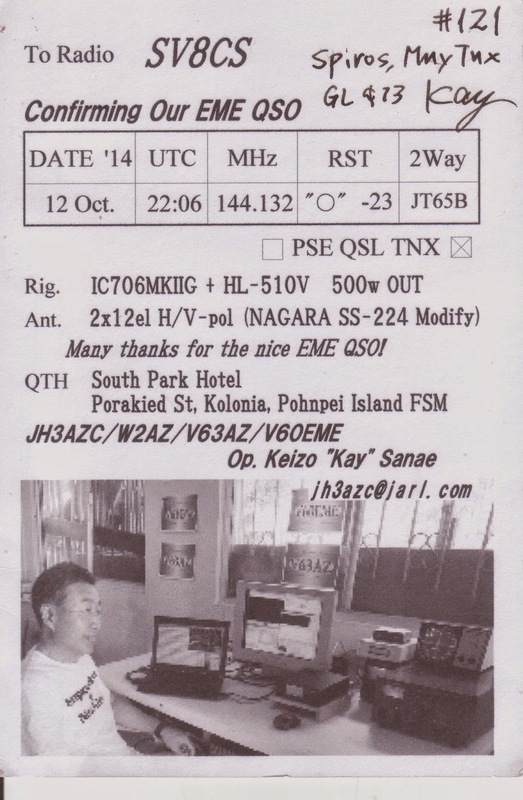 Thank you Dmytro and all the team for the New One and the QSL card.